An engaging, inspiring look at how young Parisians cook today. [December 2007] Have a happy, tasty holiday. [December 2007] Best of the cookbooks. [December 2007] Named Best French Cuisine Book in the UK in the Gourmand World Cookbook Awards 2007. [December 2007] Selected as one of the Best 20 Food Books of 2007. [November 2007] Tastemakers ("Our critic's choices for thirteen of the year's best cookbooks"): "Dusoulier's zesty approach to shopping for, cooking, and presenting French food is entirely appealing. [...] Dusoulier's recipes are inventive rather than eccentric, and her enthusiasm for the pleasures of the table is infectious." [September 2007] Chocolate and zucchini - a match made in France: "As her cookbook [...] and her blog illustrate, [Clotilde Dusoulier] is also an extremely accomplished cook. Not a show-off, but a home cook with a respect for good ingredients, a sense of adventure and a good deal of personal charm." [August 2007] "[Dusoulier] writes well, conveying her culinary enthusiasm gracefully, and her wide-eyed, innocent style makes the old seem new again. She also took the lovely photographs that accompany her simple and charming recipes." [August 22, 2007] Sweeten zucchini up: Add chocolate: "The little cookbook reflects the energy and enthusiasm of Dusoulier's Web posts. It's filled with simple recipes written for inexperienced cooks with sophisticated tastes. Many are French classics - think boeuf bourguignon, tarte tatin and quiche oignon - and each is preceded by a charming anecdote." [August 8, 2007] Celebrate the zuke: "[These recipes are] from the new cookbook Chocolate & Zucchini, written by the young Parisian Clotilde Dusoulier, whose blog brought her legions of fans and a cookbook contract." [July 2007] Consuming reads: "[...] the author of renowned food blog is one of the hottest new talents on the culinary scene. Her first cookbook is a fresh and idiosyncratic take on her intimate foodie memories, plus 70 new recipes that you won't find on the blog." [June 2007] Paris, city of lite. 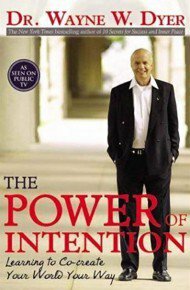 [June 3, 2007] Summer Reading: Cooking. 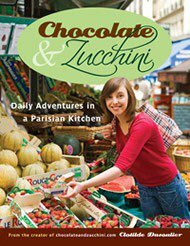 [June 2007] Heat Wave: "Bilingual blogger Clotilde Dusoulier's Chocolate & Zucchini: Daily Adventures in a Parisian Kitchen (Broadway) brings an engaging new voice to home cuisine." 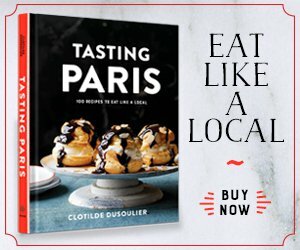 [May 2007] Notes from a Paris foodie: "Chocolate & Zucchini offers many new recipes that showcase Dusoulier's fresh, creative, market-driven approach to cooking as well as a fresh helping of her unique prose. 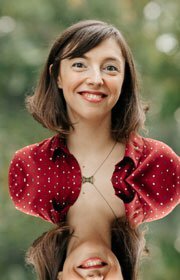 Dusoulier's English is fluent, both in print and in conversation, and yet there is something - an unorthodox word choice, an undercurrent of arch humor, an appealing lack of irony - that suggests an outsider's perspective." [May 2007] Food Chain: "Her recipes emphasize the fresh and the easily obtainable, seasonal cooking at its best. [...] This is no imperious Cordon Bleu chef issuing cooking edicts; this is a friend clutching our hand as we share in the marvels of the culinary universe." [May 2007] Appealing cookbook is welcome stage in young foodie's growth. [May 2007] I love Parisian recipes in the springtime. [April 2007] "Dusoulier has contagious enthusiasm for her local Montmartre markets. Reading "Chocolate and Zucchini" is like going on a slightly frenetic shopping spree -- in other words, irresistible. Dusoulier is the Parisian friend we all wish we had. [...] Dusoulier's voice is boisterous, spirited, delightful and entirely forgiving." [April 2007] ""Haar culinaire blog is een van onze favorieten. Razend nieuwsgierig zijn we dan ook naar het kookboekdebuut van Clotilde Dusoulier. De Parisienne met het sluike haar en de vlotte (engelse) pen filosofeert in Chocolate and Zucchini over koken, lekker eten en het culinaire leven in Parijs, engeeft 75 recepten prijs." [April 2007] "Dusoulier's charm lies in her culinary curiosity and enthusiasm, and she deftly conveys both through 75-plus recipes and narrative commentary."